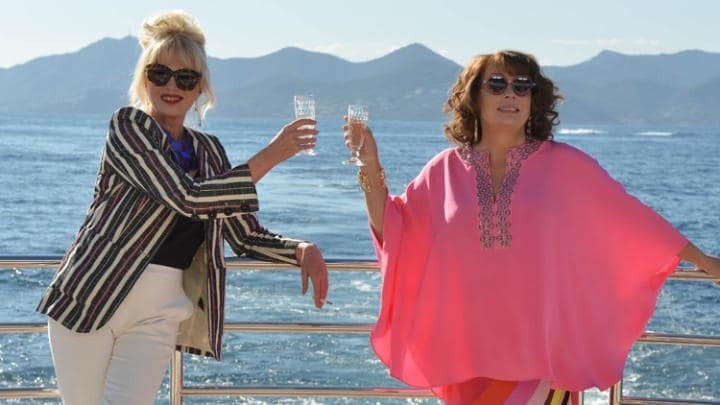 I'm showing my age to say that I was a massive fan of the sitcom Absolutely Fabulous. It was very much of its time, 90's excess, super models, super rich, super skinny. Edina Monsoon was high maintenance, loud, colourful, brash, attention seeking, but with a vulnerability and a need to be looked after. Often this looking after fell to her daughter Saffy. But what has this got to do with Dahlia's? Well I think of the Dahlia as the Eddy of the plant world. Dahlia's, like the Ab Fab film a year or two ago, have made a resurgence. I love them and they are perfect for late summer colour. When you think of a Dahlia, they are often loud, colourful and brash. For example Dahlia 'Show and Tell' has fabulous orangey red and yellow flowers the size of your head! The majority of Dahlias... like Eddy, are also high maintenance. They don't like the cold and wet. They are what's known in the trade as a 'tender perennial'. They will flower year after year as long as they don't freeze to death. This means that every autumn the tubours must be dug up, put in a pot and stored. Dahlia 'Show and Tell' in my mum's garden. So what happens if you love Dahlia's, want them in your garden but don't want them to be...'too Eddy'. Whilst designing a planting scheme for a client recently, I was looking for a variety of Dahlia that fit that bill. I found Dahlia merckii; a favourite of the renowned gardener Beth Chatto. Dahlia merckii - grown from seed. Flowering now in my garden! Dahlia merckii is hardy, meaning it should be able to cope with cold temperatures, and stay in the ground over winter until it emerges again in the summer; so no digging them up. The flowers are small but perfectly formed and ask for your attention without smacking you round the face. But I couldn't find the plants locally or indeed on the internet without paying a lot of money. So I tried growing them from seed. I literally screamed wth joy when the seedlings appeared and these plants have been my babies for several months, watered, potted on, protected from the ravages of sun and wind, and now they are blooming. I have quite a few plants now, so if you want to buy any, get in touch!